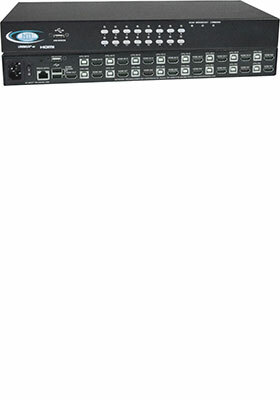 Buy this item and earn 1,409 ClubPoints. 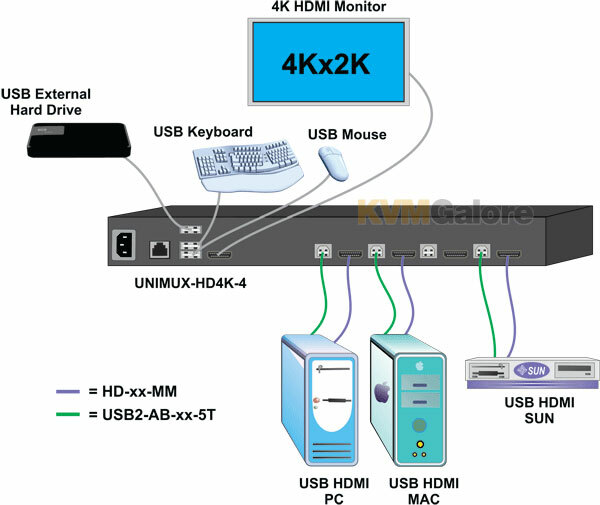 UNIMUX™ HDMI-USB KVM switch allows a single user to control 16 Ultra-HD 4Kx2K 30Hz USB computers with one USB keyboard, USB mouse and 4K HDMI monitor. Dedicated internal microprocessors emulate keyboard and mouse presence to each attached CPU 100% of the time so all computers boot error-free.